Vinyl eraser for use on polyester-based drafting film, acetate, and tracing paper. Erases delicate drawings cleanly without smudging ivory color. 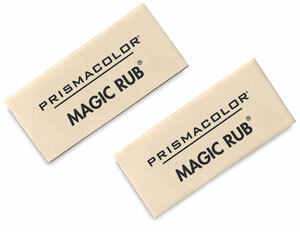 ® Prismacolor is a registered trademark of Sanford Corporation.® Magic Rub is a registered trademark.